What Is Clean and Clear Morning Burst Skin Brightening Facial? Rid your skin of excess oil, dirt and other impurities on the surface of your skin and stuck in your pores. Lightens your dark spots and brightens your overall skin complexion. Delivers natural healing and skin rejuvenation from natural ingredients that include papaya and lemon. Although it contains certain ingredients which may lead to skin irritation. 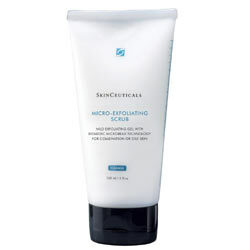 Incorporates micro-beads for a deeper, more thorough cleansing with every stroke. Recommended for use for all skin care types, this product is manufactured by Clean and Clear, one of the brands under Johnson & Johnson Group of Companies. What Are The Ingredients In Clean and Clear Morning Burst Skin Brightening Facial? Caffeine: Stimulates the microcirculation underneath the areas beneath application areas. Lemon: Having strong natural astringent properties, it helps your skin become its fairest and finest like you’ve never seen it before. Papaya: Has natural astringent and skin brightening properties that contributes to your attainment of glowing skin. Wet your face before applying a dime-sized amount of Clean and Clear Morning Burst Skin Brightening Facial Scrub to your skin. Massage your skin gently in upward, circular motion for about 10 seconds before rinsing off the product completely. Multifunctional product that delivers more than just a soothing cleanse to rid your tired skin of flaking and other impurities on the surface and in your pores. 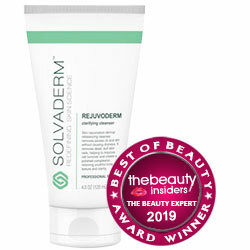 Made with micro-beads, this product is capable of drawing out impurities stuck inside your pores. Although there is no clinical evidence backing up this claim. Encourages the activation of your skin’s natural healing, rejuvenation and renewal mechanisms. Product contains Sodium Laureth Sulfate which leaves behind product residue that clogs pores which, in turn, can start an infection and make your skin breakout most especially of you have chronically irritated or acne-prone skin. Product contains phenoxyethanol, a neurotoxin that can accumulate in your body and eventually may have negative repercussions to your brain and nerve health. Product contains parabens, toxic chemicals that have been shown to affect the behavior of hormones which, in turn, leads to poor organ performance. Beneficial components in this product’s formula are so nil that these may not be potent enough to redound to positive long-term benefits for your skin. Clean and Clear Morning Burst Skin Brightening Facial Scrub delivers cleaner skin. Although, when it comes to the clearer part, doubt arises. How your skin reacts to the product, most especially given the potentially irritating ingredients in its formula, will determine whether you will indeed have blemish-free skin.